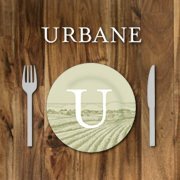 Celebrating the beauty of the earth, Urbane Restaurant & Bar welcomes you to an open space where a pallet of natural materials exudes elegant simplicity. Our restaurant menus and décor are inspired by the culinary spoils of the Pacific Northwest, and we take great pride in working with our local farmers and producers to ensure quality and dependability. Our lounge has become a neighbourhood favourite for happy hour or pre-theater drinks and bites. Our team of mixologists create one-of-a-kind specialty and classic cocktails to pair with our small plate offerings.